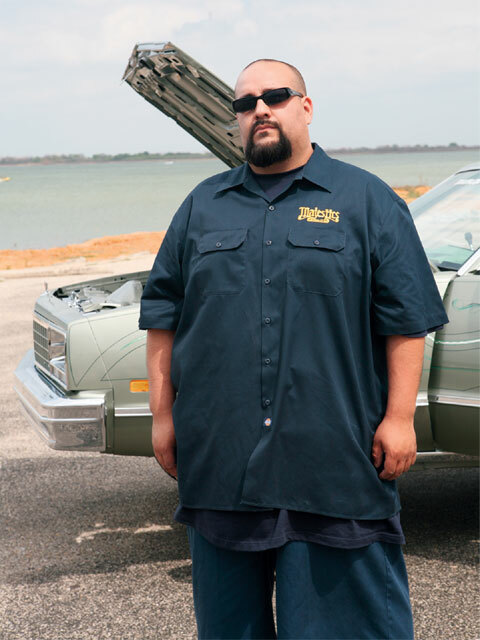 Allen Garcia was introduced to lowriding at a very young age, being inspired by his father and older brother. “I was always in the lowrider scene while I was growing up and, cruising down Hollywood Boulevard on the weekends,” he remembers. It wasn’t a surprise that Allen grew up with a major love for the sport of lowriding. Now fully grown and relocated to Rogers, Arkansas, Allen wanted to build “something different.” He picked a Chevy El Camino for his lowrider project and was able to find a mostly clean ’86 El Camino. Allen decided that he needed something to represent on the streets and that he could abuse on the boulevard, so the build started with the simple task of taking care of the body. Allen decided to reinforce the vehicle with a fully wrapped and powdercoated frame so that it could sustain the abuse of hopping and street riding. 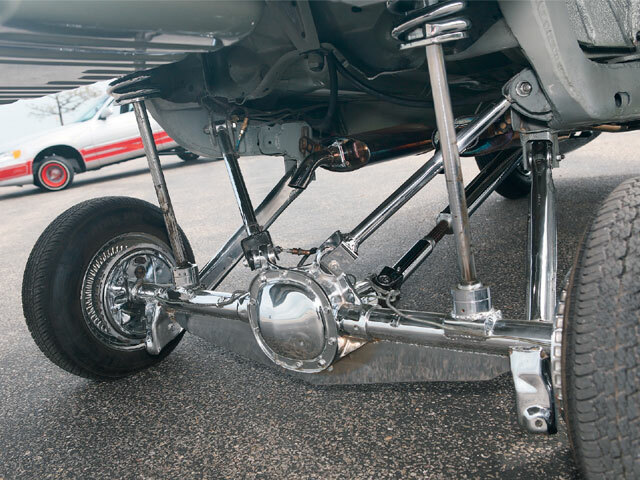 Allen also had the trailing arms super-extended to give the rear end enough height to catch air when it was time for play. The intense work on the suspension along with the hydraulic setup was performed by Shawn and Tino at Street Riders in Kansas City, Missouri. As for the bodywork, Arkansans Bill and T.J. flushed the tailgate and firewall to give the car some clean lines and then handed it to Leo Castro for a LA-style paint job done in PPG light sage with some body contour-enhancing pinstriping by “Curly.” Various pieces were sent to Economy Plating in Dallas, Texas, for chrome plating. 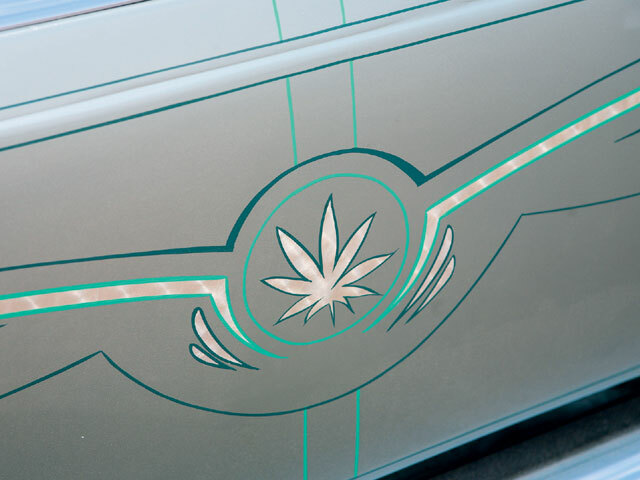 Allen originally purchased the El Camino for $3,000 and now, after two years and $20,000 invested in the car, “Naturally High” has taken many First Place trophies and awards. Allen realizes that if it wasn’t for the support and love of his wife that the El Camino would not have turned out as well as it did. Allen would also like to thank his other family, Majestics Car Club, as well as the guys at Street Riders for helping take Naturally High to such inspired heights. Naturally HighOwner: Allen GarciaVehicle: ’86 Chevrolet El CaminoCity/State: Rogers, ArkansasClub: Majestics C.C. Engine/Drivetrain: The 350-c.i.d. 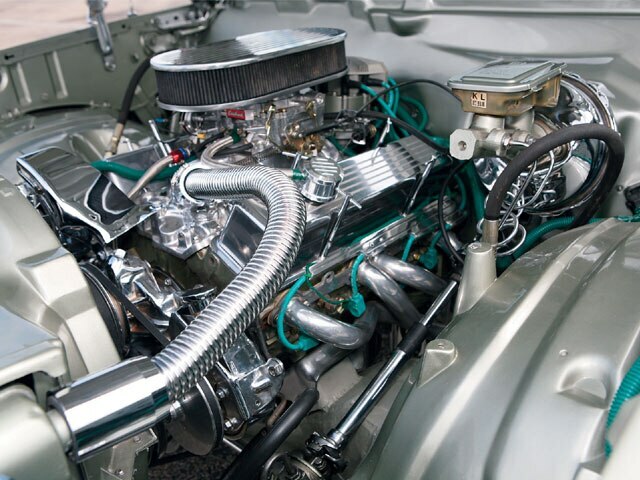 Chevy engine was fully chromed-out andaccompanied by a 350 Turboglide transmission and straight pipe exhaust system. Body/Paint: The car was covered with PPG light sage paint by Leo Castro in Los Angeles, California, and then pinstriped by “Curly” of Long Beach, California. Bill and T.J. of Rogers flushed the tailgate and firewall to get rid of some of the gaps and give it a smoother look. Interior: The stock interior was reupholstered by Street Riders in Kansas City, Missouri, to match the original design. Sound System: An Alpine head unit is powered by one amp and the wattage is transferred to a set of 3.5-inch mids and four 10-inch subwoofers. Setup: Allen knows lowriders so he needed an impressive hydro setup. 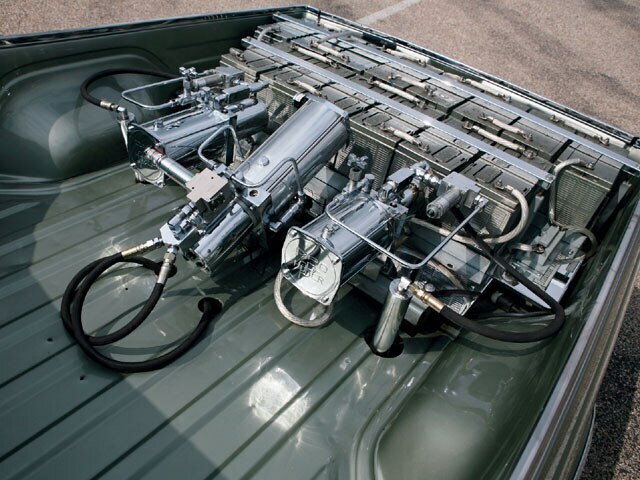 Shawn and Tino at Street Riders fully reinforced the frame and installed a setup that includes three Pro Hopper pumps, three dumps, 8-inch (front) and 18-inch (rear) cylinders, 4.5-ton (front) and 4-ton (rear) springs, five solenoids, 14 batteries and four switches.